Our tribe leaders are the heart and soul of our festival, leading us to inner peace one day at a time. At Tmrw.Tday 2018, we experienced the healing power that radiates from each of these special souls, and this year, we can’t wait to see what they have in store for us. This week’s tribe leader is Carmelinda Dimanno, who started teaching yoga in 2011 and has since traveled the world spreading her contagious good spirit and love for movement. However, that’s not all. This yogi is also a force behind the DJ board, which makes moving with her all the more special. I’m a teacher of Vinyasa, Hatha and Kundalini yoga as well as an ecstatic dance facilitator and DJ. I am also the Toronto Event producer for ‘Day Breaker’ events. Yoga initially was my “medicine” in dealing with anxiety and stress until it became a greater part of my lifestyle and evolved into a full time career. 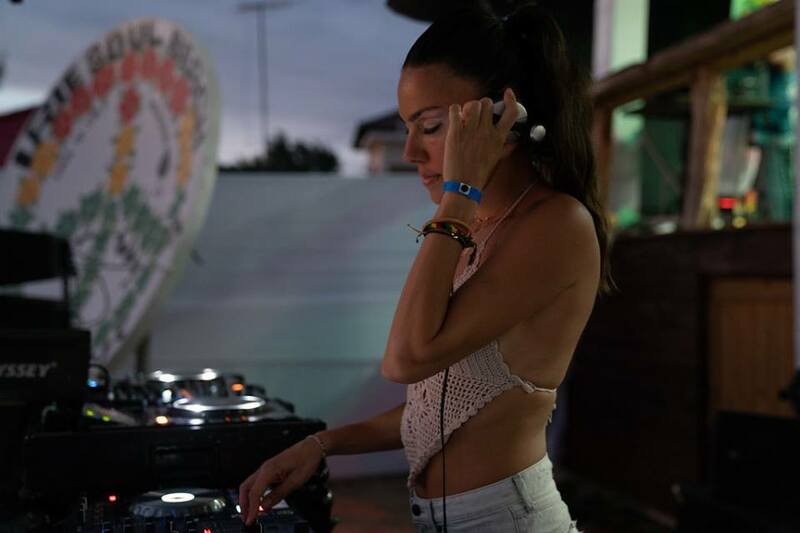 I learned to DJ because I needed a creative outlet to put my energy during a stressful time in my life and I had the hopes of creating my own musical recordings for my yoga classes. This evolved into a professional career very organically and unexpectedly. I stay motivated quite easily…I genuinely love what I do. I continue to study and do teacher trainings to keep my knowledge current and to have a greater variety of healing offerings. I am fueled by what I do as a teacher and DJ. I try to “sweat” everyday. I change it up between my hot yoga practice, Kundalini, spin and circuit training. I journal daily to keep my mind clear and I meditate as frequently as possible. I certainly can relate to living too much in the past and future as most people do but I do my best to be mindful and aware of my thoughts and the emotions that follow. I think awareness is key and from there we can choose an alternative perspective. I pray a lot! My mission is to spread love by example. It’s important to me that we exercise self-love above all and this is a practice. Life challenges us to exercise this but the rewards are huge and it’s so important for a future of a healthy and mentally sound civilization. I ask divine spirit to flow and speak through me when I teach and DJ. I let myself be a channel. Carmelinda at Restival. Image via Instagram. My biggest piece of advice for a person going through a big challenge is to never ever give up on yourself. Discipline is fundamental in healing, growth and happiness. Find the tools and methods that support you and stick with it. Tap into your own intuition and be less influenced by externals. No one knows your story as you do. I am most excited about the new offerings I personally have to share. I lead Kundalini classes now and plan to at the festival. I plan to lead ecstatic dance and to showcase all of my passions to a greater degree. I believe in healing and want to share my story to help others heal. We can’t wait to see what Carmelinda has planned for us this year. If you want to experience the magic, head here.